William Hill with its 70 years of experience, roughly 2,300 betting shops and 15,000 employees, is one of the biggest betting agencies in the world. The company, with offices in London and Gibraltar, has been listed on the London Stock Exchange since 2002. 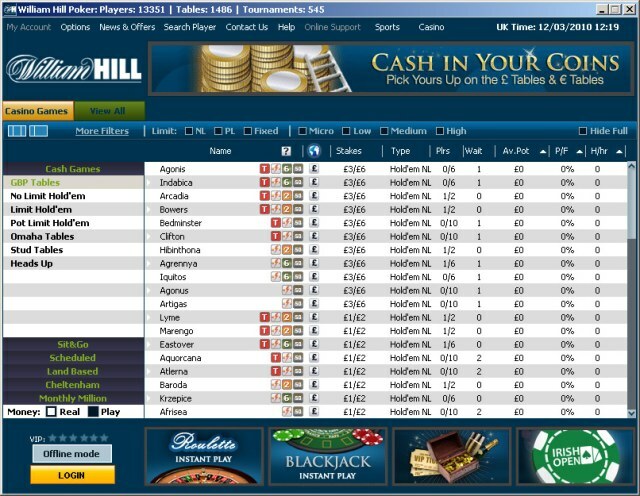 William Hill is hosted on the iPoker Network. 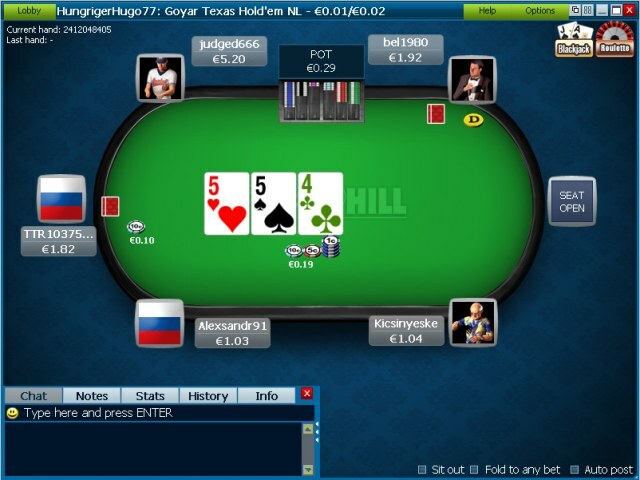 William Hill Poker delivers online poker at a superior level in the gaming industry, offering the best VIP Program along with continuous promotions and tournaments. Combined with cutting edge software and award winning customer service - available 24/7 - William Hill is the only destination for online poker.